Aluminum frame powder coated white. 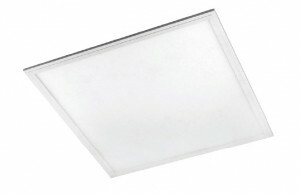 Pure white diffuserforsoft light distribution. Laser printed PMMA light guide and 95% reflective film. LED are positioned on the side. Dimmable and DaLi driver on request.